Fiber optic sensors will help keep commuters moving between Manhattan and Brooklyn this year and beyond. 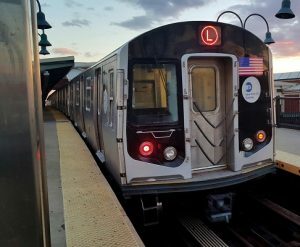 Recently, New York Governor Andrew Cuomo announced that New York City’s Metropolitan Transit Authority (MTA) would not close the L train tunnel for a planned 15-month repair project. Instead, the MTA will use technology-driven solutions to keep the tunnel open and operational for weekday riders. In a joint statement, a panel that included engineering experts from Columbia and Cornell explained that “The L Train Tunnel project gives us the opportunity to integrate technologies and methods that have never been used before in a tunnel rehabilitation project, putting New York in a leadership position when it comes to building 21st century infrastructure”. According to The Verge, an on-line technology publication, The L train tunnel suffered extensive damage during Hurricane Sandy in the fall of 2012. Millions of gallons of water from the East River poured into the underground passageway and damaged cables, ducts, tracks, signals, switches, lighting, and the bench wall – a cement ledge that runs along the side of the tunnel and is used to hold and protect cables. To keep the subway open during repairs, the MTA will position power and communications cables on overhead racks instead of inside the benchwall. Crews will also install fiber optic sensors and LIDAR sensors to monitor benchwall integrity. That’s especially important because the project, according to OH&S, requires replacing all 32,000 feet of benchwall and installing hundreds of thousands feet of cables. Fiber optic sensors like the ones that will be used in the L train tunnel support non-contact measurement and can reach areas that are inaccessible to standard photoelectric sensors. Applications include measuring mechanical strain, concentrations of chemical species, acceleration, rotations, pressure, vibrations, and displacements. Fiber optic sensors are also used for lateral motion measurements. Want to stay up to date on what is happening at MTI and read the latest Test and Measurement industry news?